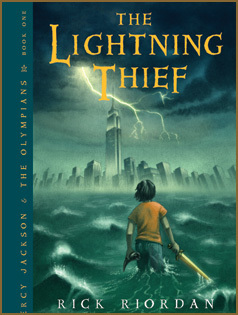 As we begin our next unit on Percy Jackson & The Olympians: The Lightning Thief, we will create an online guide to the book in order to better understand all the great stories of Greek Mythology featured in the book. There are two parts to this assignment. Everyone will have to fill out an entry for an Olympian, Other God, Monster or Creature. What is the god/goddess's name? A: For this part you will tell us the myth in your own words and provide pictures illustrating the story. B: You will also make a poster illustrating the story. I've provided you a link or two to help you, but you can use other resources, including the websites above.